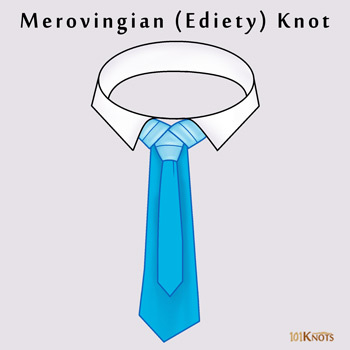 The Merovingian knot shot to fame after being sported by The Merovingian in the Matrix series of movies though it has been in existence from much before. 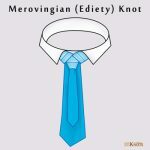 Originally known as the Ediety knot it is a stylish necktie knot that looks as if your tie is wearing a smaller tie than itself. Being a difficult one to tie, you need a lot of preparation before wearing it to any occasion. The diagram below would help you in that respect. 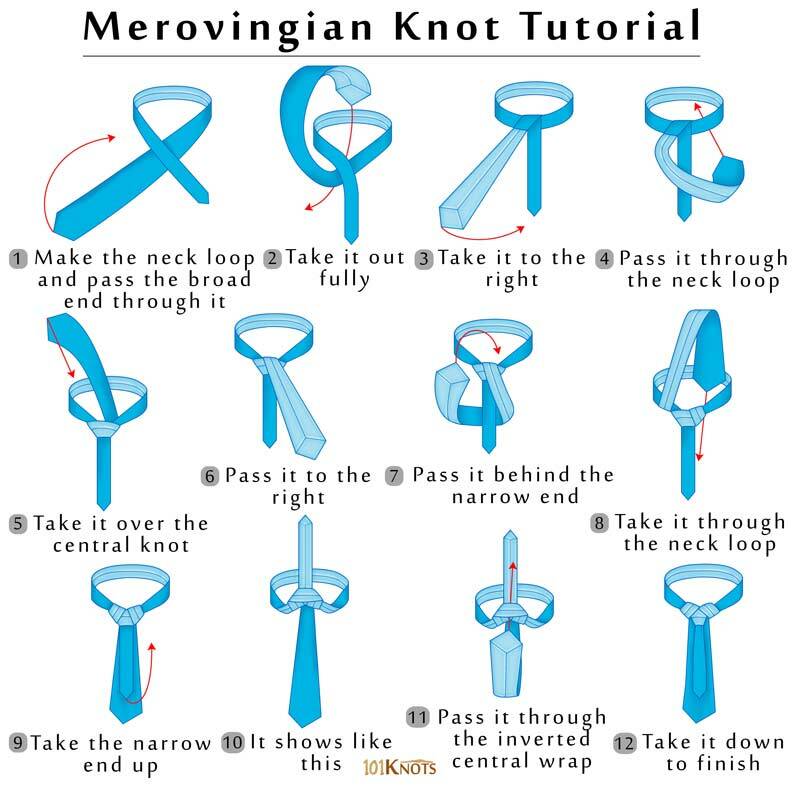 According to a few sources, the knot dates back to the 1920’s though no image of the tie being worn in those days has been found. You should always hide the ends of the tie by wearing it with a vest, cardigan, coat, blazer or suit. It is so because the ends are not neat. The tie is short and the narrower end is placed over the broader one which is not how conventional ties end. Being an eye-catching knot you can wear it to parties and casual gatherings. It works best with contrast ties. Stripes on your tie can create an interesting effect. Keep it centered by using a tie clip under the vest.